One might hope that the consumer (art or wine lover) is less caught up in the tangle than the producer or dealer. That’s true, but only up to a point – an increasingly vanishing point at the top end of wine, where it is ever harder to distinguish between investor and wine lover, especially as lots of money is involved. Both art and wine are revealed as ultimately what the dealer has long known them to be: mere commodities in a capitalist market. Some kinds of wine have proved to be a good financial investment over time (primarily top Bordeaux and Burgundy, but a few other types and individuals too). The only downside is that wine is, unlike a painting or sculpture, something with a sell-by date: at some stage someone has to drink the damn stuff and thereby destroy its value entirely, and think it worth paying a lot to do so. But for a certain length of time, just as many paintings sit in bank vaults so do wines (dark vaults, stable and at the right temperature). The auction, with the smarter type of dealer alongside, is the prime site of the nexus of money and love (and again, confused with love is ostentatious display of wealth). 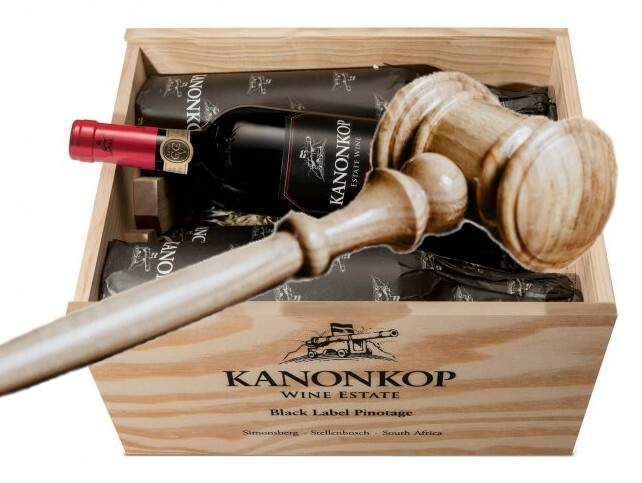 And the straightforwardly commercial wine auction is coming to South Africa, it seems, via a formidable force of a leading merchant with excellent storage space (Wine Cellar of Cape Town, which has been trying to establish a secondary market for some time), the currently most successful of the local art auction houses (Strauss), and a savvy and ambitious sommelier-at-large (Higgo Jacobs). It’s not clear yet whether the projected wine auctions are going to focus only on the top end, or will include the possibility of buying, at a reasonable price, a case or two of some matured middle-range wines that someone has found to be in excess of requirements. It looks like the former, but I’m hoping for the latter. That could be a great thing not only for semi-ordinary wine lovers, but even for some of the legion of restaurants that culpably don’t bother to offer mature wines to consumers. But at the very least the focus of attention is apparently going to be on wine speculation. On “collectability”, as the Strauss media release has it; on the big names – “South Africa’s finest wines”. Whether or not South Africa has a large enough supply of genuinely top-end wine (including imports, if they are to be allowed) for a system of auctions to be sustainable year-on-year, I have my doubts. Presumably the organisers are confident. Although the media release rather curiously says that “Lots will be sourced directly from leading producers as well as approved private cellars” – the first part of which doesn’t suggest much confidence in a secondary market, and is not what generally happens in international wine auctions as far as I know. And whether or not there is also reason to be optimistic enough about the value of ageing South African wines to justify speculation (hoping to sell the wine later at a profit) is another question. I’m not being puritanical. I have bought and sold artworks on auction. I have also sold a case or two of excess mature wine via Wine Cellar’s brokerage system – making a nice profit, in fact. But I have never bought wine as speculation, with an eye to selling it again. That already happens in South Africa, to a small extent. And, interestingly, some significant forces have worked to avoid it happening. The company which imports the finest selection of burgundy and sells it on allocation, generally for notably less than prevailing international prices, has done its best to exclude purchasers who want the wines merely to sell on and make a profit. A few top producers have done the same. Eben Sadie knows well that he could sell his Ouwingerdreeks wines for more than he does, but has always made it clear that he doesn’t want these wines to be “collectables” and commodities for further trading, but to be sufficiently inexpensive to be drunk without too many qualms. Auctions concentrating on “collectability” and “finest wines” are, arguably, much less about love of wine and drinking wine than about money. For those concerned that top Cape wine is underpriced, that sort of auction should help, with an established secondary market effectively pushing up prices. Strauss says it wants to “elevate South African wines to the same degree of collectability as the visual and decorative arts”. Possibly a dreadful prospect, if you look at the corruption and vulgarity of the international art market. Many ordinary wine lovers will look with distaste and apprehension at Strauss’s idea of “bringing an exciting new asset class to our client base”. You thought wine was for drinking with pleasure? Don’t be naive, it’s much more important than that: it’s an asset class. Transform yourselves, from wine-lovers to wine-collectors. Ah well, I suppose I’m being a combination of curmudgeonly and over-romantic. At the very least, it will be interesting to see all the details of this new venture emerge and then to observe how things go. I half wish it well.